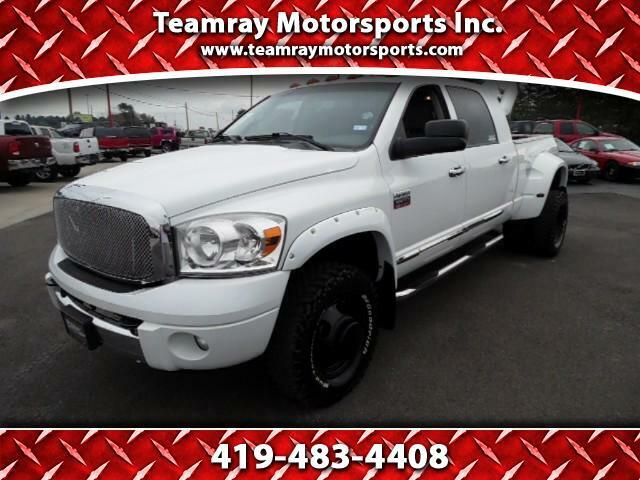 2008 DODGE RAM 3500 MEGA CAB 4X4 LARAMIE DUALLY WITH THE 6.7 CUMMINS DIESEL AND 6 SPEED MANUAL TRANS. SERVICED AND READY TO GO. SUPER CLEAN ONE OWNER RUST FREE TEXAS TRUCK.